Let's all agree on something up front: shopping for men is just plain hard. For one, there are only so many wallets and shaving accessories that a dude can have. For another, if a guy wants something, he just buys it. Simple as that. So, I thought I would try and ease the pain of guy shopping with just a few small business ideas for the guy in your life. College football rules the roost in the south, and even though the top four teams have already been decided, if your guy is anything like mine, he's definitely not a fair weather fan. Why not gift him a punny college tee so he can wear his team proudly emblazoned across his chest? 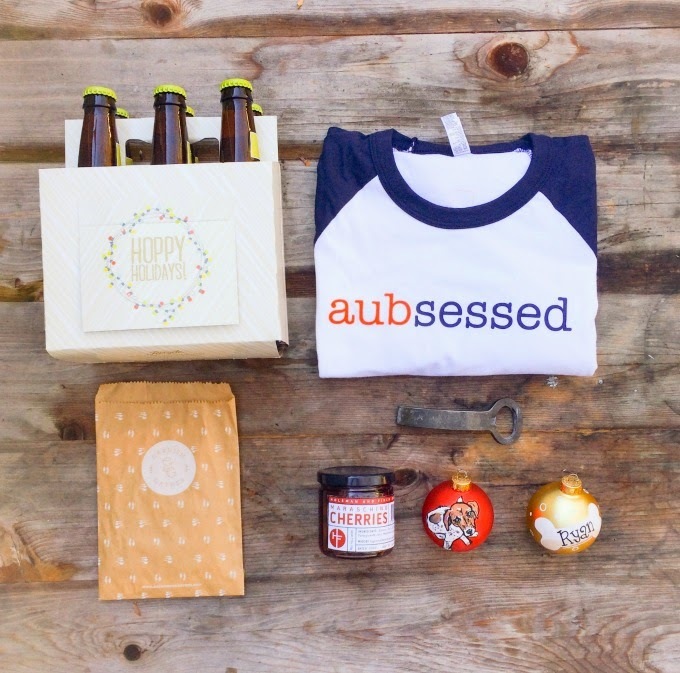 These tees from Aubsessories are perfect for the guys in our family. The quality is incredible, and I love that the creator lives in Auburn herself. Talk about family all in. Be sure to check out Corrie's adorable kids line, too. 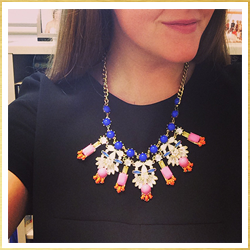 Contact aubsessories@gmail.com to place your order! Last on my list is the ideal gift for the guy who adores his pup just about as much as he loves you (hey, just being honest :)). Remember Ocean Junky Art from last week's beach goer guide? 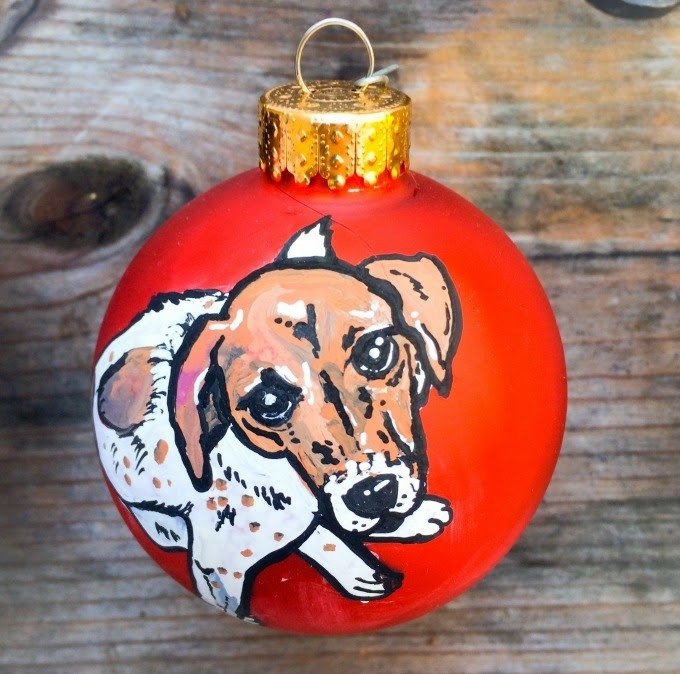 Ashley just so happens to take a limited number of custom orders...and she can paint your dog on an ornament! How cute is Ryan here?! She's definitely a sassy model. There you have it! Unique, small business gifts for the guy who has practically everything. Since we're all friends here, tell me if you have any brilliant ideas of your own in the comments! 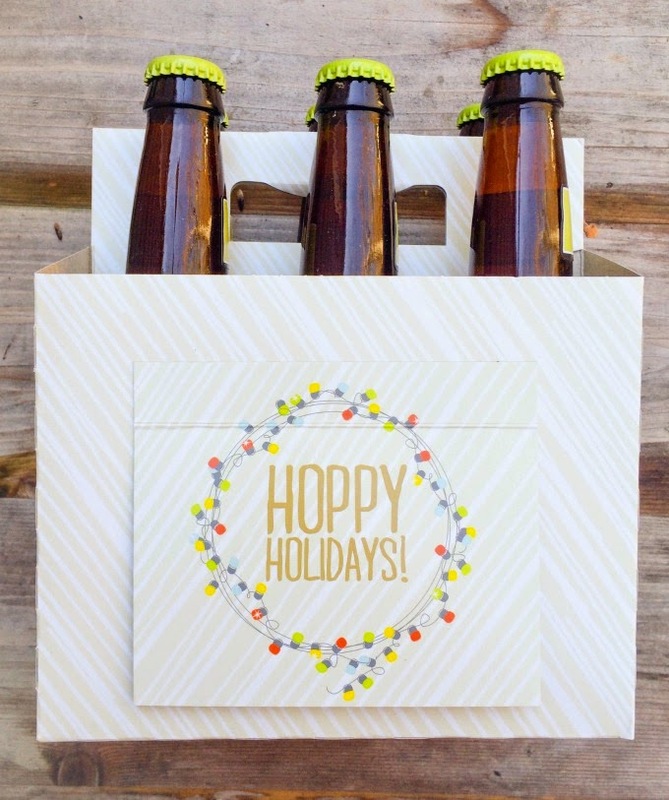 Ok this has to be the cutest Gift Guide ever! My friend Ellie would die for that shirt, and that hand painted ornament is PERFECT! I need one of my tuck tuck! It was great to see you tonight! Hope you enjoy all your goodies!! Thanks, friend!! The shirts are the absolute highest quality tees - American Apparel! Be sure to send your friend to the site. And yes, the dog ornaments are exquisite. So fun to see you too! Happy holidays if I don't see you again!